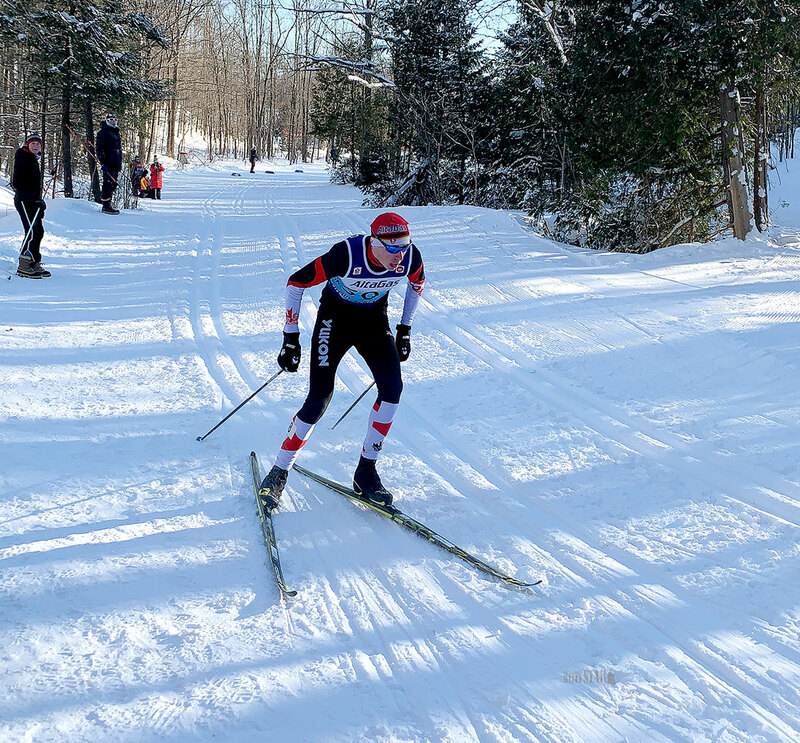 A dozen cross country skiers on the Yukon ski team fared well over the weekend at the Eastern Canadian Championships near Collingwood, Ont. Team coach Alain Masson said this morning that it was the first trip for a number of their younger skiers. Masson pointed out the Yukon skiers were all skiing in one age category above in preparation for the Canada Winter Games later this month in Red Deer, Alta. Selection of the 10 skiers that will represent the territory at the Games will be finalized in the next day or two, said the coach. He said the younger Yukon skiers who travelled to Ontario were 14 and 15 years old while the older skiers were 16 and 17. For the Winter Games, each team from across Canada can have five men and five women, he explained. Only one of the five can be under 23 and the rest have to be under 20. Derek Deuling, one the more accomplished skiers on the Yukon team, left his mark in Collingwood. Deuling, 16, opened the three days of championships with a fifth-place finish Friday in the sprint event for junior men. In Saturday’s 10-kilometre classic race, Deuling posted a fourth-place finish followed by a third-place finish Sunday in the skate portion of the 15-km pursuit race. • Dahlia Lapointe finished 10th in Friday’s sprint and just missed a second 10th-place finish with an 11th in Saturday’s 10-km race. • Bella Mouchet recorded a 6th place in Sunday’s 7.5 km pursuit for juvenile girls. 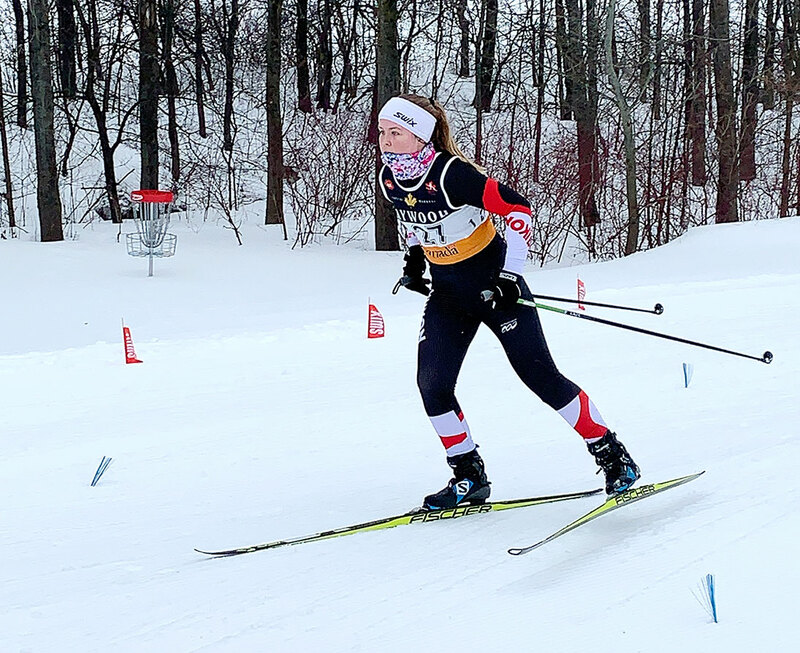 • Maude Molgat wasn’t far off a top 10 finish with a 12-place in the 7.5-km pursuit for junior girls. Masson said eight young skiers aged 12 and 13 are off Thursday to represent the territory at the Western Canadian Championships in Kelowna, B.C.